Superman is known for his unrivaled strength, x-ray vision, ability to fly, and his indestructibility. It’s that last element of the superhero that Volvo seems to have clued in on with its modern range of vehicles, and the new S90 luxury sedan make should make you feel as indestructible driving it as possible. I mean you, as in the jellybag driving, feel indestructible in the event of an accident, and not the vehicle itself being indestructible. Don’t go wreaking havoc in your new Volvo—you wont make it very far. Well, at least the car wont. 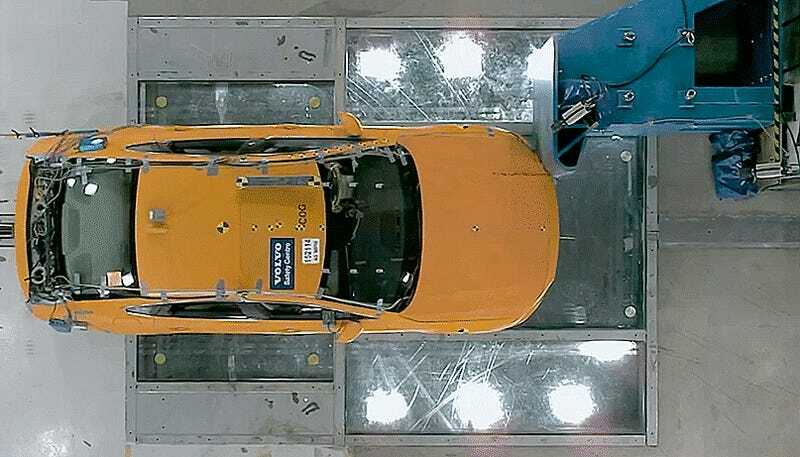 Gosh, Volvo crash tests are always so impressive. The key things to note here is that anybody in the car is going to be in pretty decent shape and likely walk away from the front-overlap accident shown in that crash test. You’ll notice how the windshield hardly moved and didn’t even crack, and the A-pillar and roof show no signs of crumpling, proving that an extremely minimal amount of force from the accident actually made its way through and into the cabin, where us jellybags sit. 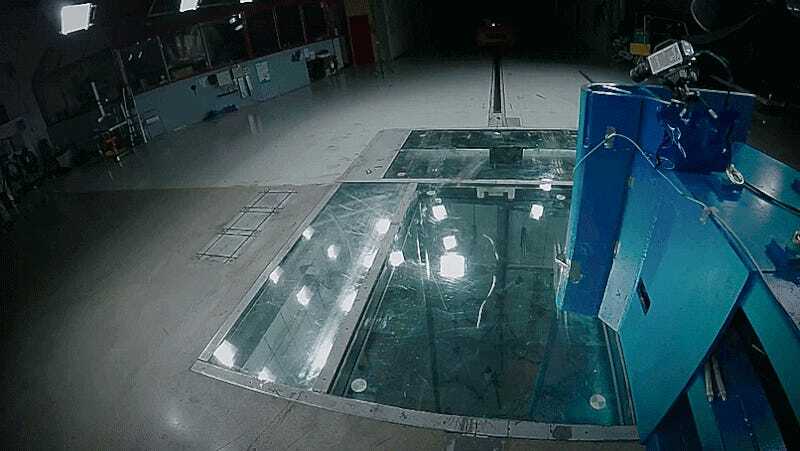 I’m no stranger to showing my irrational amusement of Volvo crash tests, and consequence-less car carnage of any sort, but Volvo does it best. When are they going to make Crash-Test Orange an optional color? Can we call it Jalopnik Orange?